Energy storage is referred to as the capturing of energy produced at one point of time for future use. A device that is used for storing energy is often known as an accumulator. Energy is found in multiple forms such as kinetic, latent heat, elevated temperature, electricity, electrical potential, gravitational potential, chemical, and radiation. Battery energy storage comprises converting energy into a form that can be easily stored in the form of battery and are more convenient and economically feasible. Battery energy systems are gaining prominence among residential, commercial, and transportation sectors as a mean of storing natural energy and using it at the time of emergency. Manufacturers seek huge growth potentials in the micro-grid developments in advanced battery energy storage systems for disaster relief and military purposes. Batteries such as lithium ion used for energy storage are witnessing high demand owing to factors such as low cost, long battery life, fast charging, light weight, and low requirement for space. 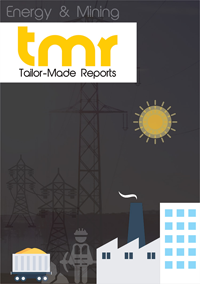 The report examines the growth of the global advanced battery energy storage systems market that occurred in the last over the last few years and is likely to occur in the coming years. The research publication additionally explains the causes of the fluctuations in the global market. It does this by assessing of the facets and the different trends that have been prevalent from past few years and also the aspects that are anticipated to maintain a strong impact on the market over the coming years. The Porter’s five forces analysis has been considered by analysts to present a clear picture of the vendor landscape to readers. Agreements, mergers, acquisitions, and other dealings have been further mentioned in the study. It focuses on the strategies, products, and market share along with position of the companies operating in the market. The global market for advanced battery energy storage systems is likely to benefit from the growing emphasis on decreasing the dependence on fossil fuels and magnifying the share of clean resources in the energy mix. The burgeoning demand for enhanced power quality, time shifting, improved grid network utilization, and the availability of emergency power source for protecting and controlling equipment is expected to further drive the global advanced battery energy storage system market. These advanced battery energy storage systems have application in sectors such as forklifts, UPS, telecom, grid storage, and transportation. The growing demand from these sectors is likely to boost the growth of the market over the coming years. In order to enhance business productivity, there is an incessant need for uninterrupted supply of power in telecommunications and data centers. As a result of this, the demand for these storage systems is likely to exponentially rise. Regionally, the global market for advanced battery energy storage system can be segmented into North America, Asia Pacific, Europe, and the Rest of the World. North America and Europe are likely to emerge as prominent regions in the market owing to high availability of natural resources and advanced means of converting and storing them. Asia Pacific is also expected to catch up in the run owing to rising focus on the use of the available natural sources for energy needs. Some of the key participants in the market are EnerSys, Samsung SDI, AES Technologies, Exide Technologies, Hitachi Ltd., and General Electric.